Lee Evans Is an absolutely crazy funny guy so I bet his book would be a crack to read. Thanks for sharing your Feb reads with me! I should really get back to reading. It always helped me de stress!! I love The Time Traveller's Wife!! It was a fab book and helps me too :) makes me feel like I've done something at least! I need to start reading again. Ever since having my son I have not been reading as much as I used to. I am reading the Throne of Glass series right now. I really liked the Time Traveler's Wife when I read it! The time travelers wife is one of my favorite books. Much different from the movie. I'd love to read more books this year but with a new baby I just don't have the time. I'd recommend the Lee Evans book, he's had a really interesting life! Loved your list, I managed to read loads in February but know loads who didn't so much! I love The Time Traveller's Wife, such a lovely story! The Lee Evans book is fab by the way! That's good :) I'm liking it so far but not that far into it as keep switching between the two books :) be interested to know what you read! I wish I had the time to read let alone a couple books a month. I always go in spurts where I will read a lot then not read for a couple of months. 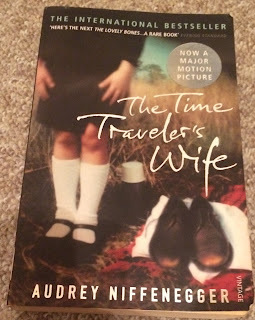 I have wanted to read Time Traveller's Wife!Thank you for sharing! That is quite a reading list! 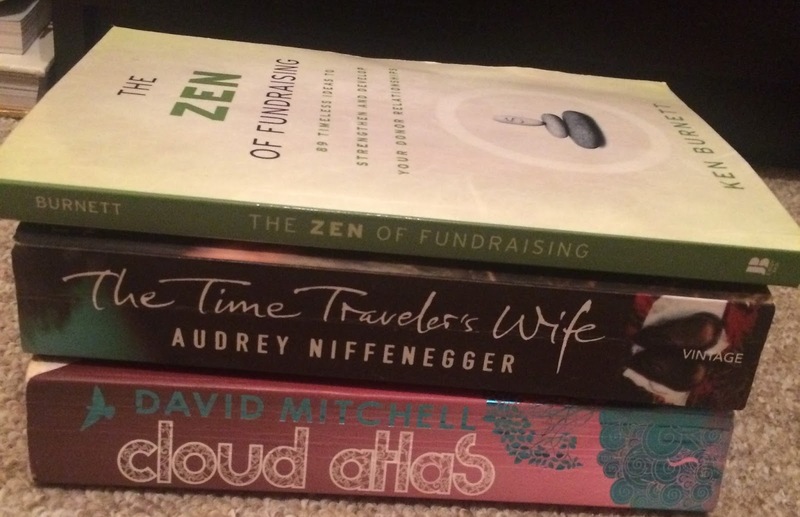 i am very stuck in my chick-lit ways and should definitely step out of my comfort zone and read something different! I really liked Cloud Atlas! It was a bit bizarre but I enjoyed it. I am currently reading The Hunt Of The Grimalkin. I do want to read the Time Traveler's Wife though. I have heard good things. The Time Travellers Wife really really upset me and I remember crying all night when I read it. I never react like that to books, so very very odd. I have not read any of these books. Will look out for them. I should really start reading more often. While I haven't read Cloud Atlas, I have seen the movie. I know the movies are never quite the same, but I didn't understand the movie. I thought for sure the book would have been more clear and understandable, so it's disappointing to hear it's not. I've watched the movie of the Time Travelers Wife but never read the book. I'm sure I'd love it as the film was excellent. I am Malala is supposed to be an amazing read too! 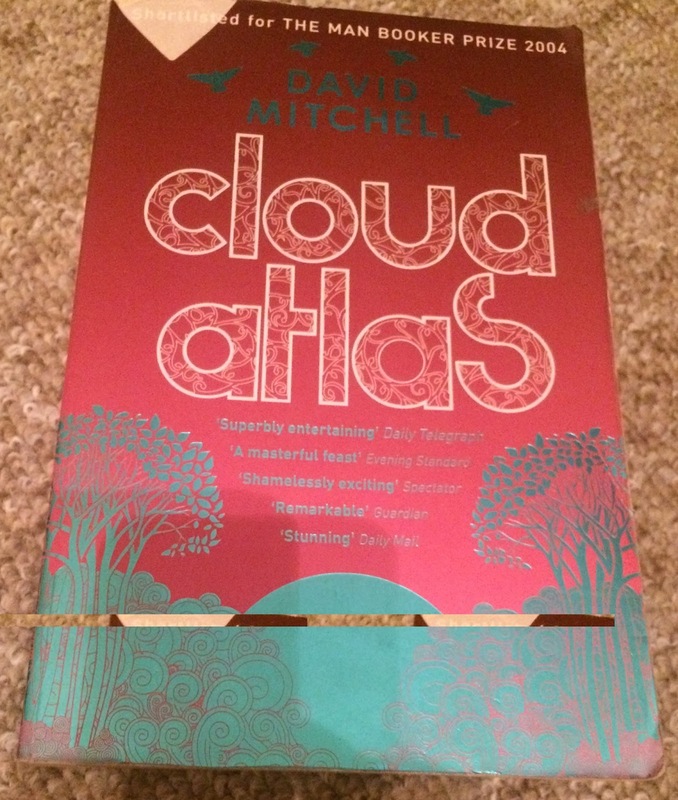 Your review of Cloud Atlas is interesting, as I was about to buy it and read it. I've heard a lot of mixed reviews on it. I don't do an official challenge, I just make sure I read a little each day. It might only be a couple pages, but I stick to it! February is always my blue month!!! January I don't mind so much and yes it is the month of comfort food too! You have totally put me to shame, I cant even remember the last time I picked up a book! STICK WITH MALALA! I recommend it to every one of my friends haha! These look like great books. I loved the movie version of Times Travellers Wife. If you haven't read it already, I highly recommend Behind Closed Doors by B A Paris. Not heard of that. Hope it fits into the popsugar challenge or will look it up for 2018 :) is i similar? I'm glad that despite the tough days, you still pushed through with something you enjoyed doing--reading. :) I wish I was a fast reader like you--seemed like you read a lot in just one month! Not usually but was determined to do the challenge! I'm not a huge reader, and I feel like I should be. I just don't have the time! Between my 3 kids and my blog my time is pretty much spent! But I think I need to make more of an effort. Thanks of sharing these. Will have to check out Time Travelers Wife. I read The Time Traveler's Wife years ago and enjoyed it. I haven't read the other books you shared. Don't worry about not enjoying or understanding Cloud Atlas. Everyone doesn't like the same writing styles and/or genres. I don't usually participate in reading challenges that set forth books for you to read as my TBR (To Be Read) list is rather lengthy. I haven't read any of these but I like the sound of The Time Traveller's Wife. It is a great book - couldn't put it down! Absolutely love reading; I just don't get enough time to do so. I read the Lee Evans book last year, and it made me cry. I'm currently reading Bear Grylls book, which am finding quite eye opening. I love the Time Traveller's Wife. I'm doing the goodreads challenge again this year but going for 80 books instead of 100! Numbers 2 and 3 definitely caught my eye. Number 2's plot seems crazy fascinating!! 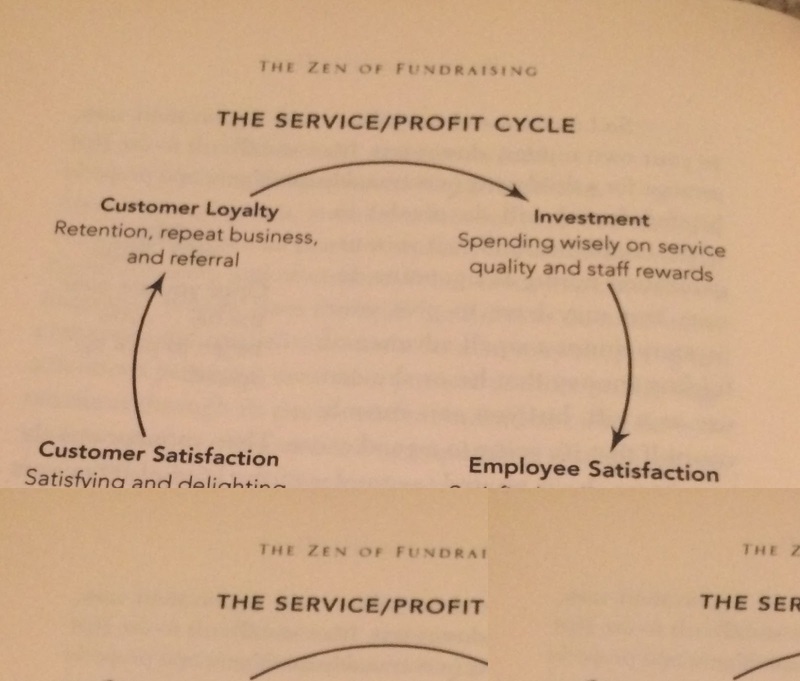 3 just sounds a lot useful, mostly because I'd love to create serious fundraising events in the future. Cheers! Hahaha I love how honest you are about not getting the first book!! Honestly sometimes book like that throw me too! 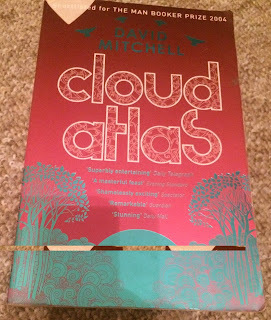 I tried to read Cloud Atlas but I just couldn't get into it! Ooh the time travellers wife sounds good! Really want to read that one!! I hope March treats you better than February. I am Malala is a very easy to read book, yet has a powerful message. I read The Time Travellers wife too, I think it was rather disappointing too. 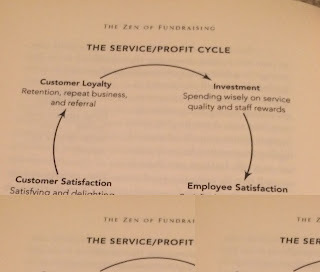 I've heard great things about Zen! I will have to start it this month for sure! I loved the time travellers wife. 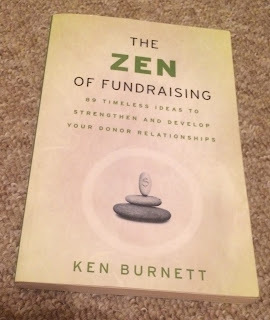 One of the few books I have managed to read recently. I have a time travelers wife but never read it, although I did love the movie! My reading challenge is to read 50 books this year, essentially round about one a week. The problem is I chose to read big books which is a little harder! Reading 3 or 4 books a month would be a challenge for me I don't even have time to read 1. My girls are doing a reading challenge though one has read about 4 books so far. I have just purchased I am Malala so looking forward to reading it. Of these three, the only one I have read is The Time Traveler's Wife. I read it even before the movie was released and I absolutely loved it. 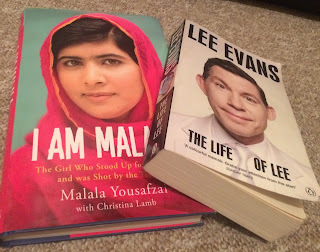 I have been wanting to read I Am Malala, but I haven't gotten around to it yet.